If one or all of the events seem to catch your attention, we've also got a section full of Other Events. There's a ton to do for Halloween YEAR, so why not make the most of it? Here at IllinoisHauntedHouses.com, we want to make planning for the Fall as easy and simple as possible. We hope you find something you and all of your family or friends can enjoy. Halloween should be all about the fun and no stress should cross your mind! Scoop up more ideas below in our Other Events featured section. There's an overabundance of things to do this year! Anderson Farm Pumpkin Patch Hillsboro 196 days ago Rate Now! Annual Halloween Cruise and Movie Night Elburn 179 days ago Rate Now! Arcola Broom Corn Festival Arcola 263 days ago Rate Now! Bandy Johnston City 263 days ago Rate Now! Bengtson's Pumpkin Fest Homer Glen 226 days ago Rate Now! Broom Orchard Pumpkin Festival Carlinville 263 days ago Rate Now! Butterprint Farm Pumpkin Patch Monee 179 days ago Rate Now! Carnival at Jo Daviess County Fair Warren 262 days ago Rate Now! Dollinger Pumpkin Farm Channahon 262 days ago Rate Now! Dwight Harvest Days Dwight 262 days ago Rate Now! Eckert's Belleville Farm Belleville 226 days ago Rate Now! Eckert's Grafton Farm Grafton 195 days ago Rate Now! Eckert's Millstadt Farm Haunted Hayrides Millstadt 226 days ago Rate Now! Egyptian Theatre Haunted Tours DeKalb 225 days ago Rate Now! Fall Festival & Arts in the Garden Haverhill 233 days ago Rate Now! Fox River Trolley Museum South Elgin 261 days ago Rate Now! Geneva Park Zombie Apocalypse Geneva 261 days ago Rate Now! 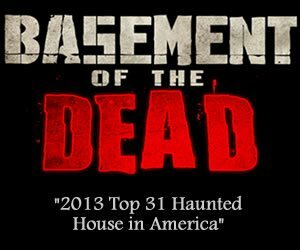 Hallow-tween Glendale Heights 225 days ago Rate Now! Halloween Hustle 5K Palatine 261 days ago Rate Now! Halloween The Original Classic Returns Naperville 179 days ago Rate Now! Hardy's Fall Corn Maze Rantoul 261 days ago Rate Now! Harvest Moon Hayrides & Halloween Egg Hunt Sandwich 194 days ago Rate Now! 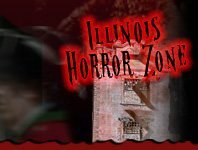 Haunted Trails Family Entertainment Center (Joliet) Joliet 226 days ago Rate Now! Haunting History Evanston 194 days ago Rate Now! Highwood Pumpkin Festival Highwood 225 days ago Rate Now! Huntley Fall Fest Huntley 260 days ago Rate Now! Jacksonville Main Street's Pumpkin Festival Jacksonville 260 days ago Rate Now! Konow's Corn Maze Homer Glen 260 days ago Rate Now! Krueger's Vegetable Stand Lakemoor 260 days ago Rate Now! Kuipers Family Farm Maple Park 260 days ago Rate Now! Mills Apple Farm Marine 194 days ago Rate Now! Monee Manor (yard display) Monee 560 days ago Rate Now! Mt. Carroll Pumpkin Fest & Race Mount Carroll 194 days ago Rate Now! Rader Family Farms Normal 260 days ago Rate Now! Richardson Adventure Farm & Corn Maze Spring Grove 224 days ago Rate Now! Richardson Farm Corn Maze and Pumpkin Patch Spring Grove 261 days ago Rate Now! Royal Oak Farm Orchard Harvard 224 days ago Rate Now! Sandwich Halloween Walk Sandwich 194 days ago Rate Now! Settlers Pond Pumpkin Patch Beecher 224 days ago Rate Now! Spring Valley Autumn Harvest Festival Schaumburg 194 days ago Rate Now! The Children's Farm at The Center Palos Park 194 days ago Rate Now! Tom's Farm Market Fall Festival Huntley 193 days ago Rate Now! Valley Orchard Cherry Valley 193 days ago Rate Now! Wheaton Nurseries and Garden Center Fall Festival Wheaton 226 days ago Rate Now! Zombie Invasion at Space Golf Orland Park 178 days ago Rate Now! Zombie Quest Alpha 255 days ago Rate Now!